I could use this right about now…Thanks for the giveaways! I like Totally Target on FB! I would love this! Thanks for the giveaways! 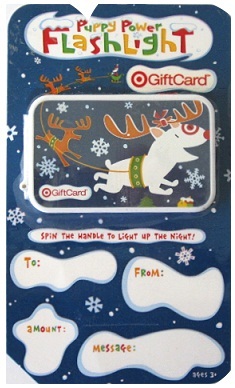 What a wonderful time of year to win a gift card … Thanks for your giveaways! Thanks as always, and I like you on fb! Like TT on FB … Would love to win this card. Thanks for your giveaways! Thanks for the giveaway! Constantly following on facebook and the website! Yay! I’m about to move, this would be awesome to win and buy house stuff! Thanks for the giveaway! Thanks for the chance, great giveaway!!! Thanks for all that you do! I follow TT on FB!!! one day im gonna win! Subscribe to your emails too! Thanks for your site and the giveaway! Thanks for another giveaway Kerry! Hope you had a relaxed and fun holiday! I follow you on fb under my Beverly S….. account. hope you had a fabulous Thanksgiving!! So cute, thank you for your great giveaways!